I teach a lot of different types of workshops. I needed a quilt that was relatively easy to complete, fast and had all the elements of paper piecing that I like to teach. This delightful little wall hanging is a great way to familiarize yourself with spikes and curves, without any stress at all! What could be better? 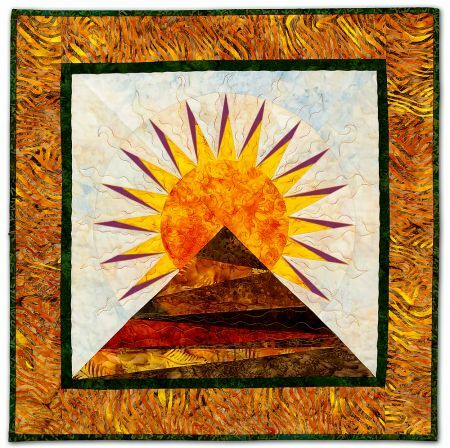 So dig through your stash and pull some delicious sunrise type fabrics and let’s get started.